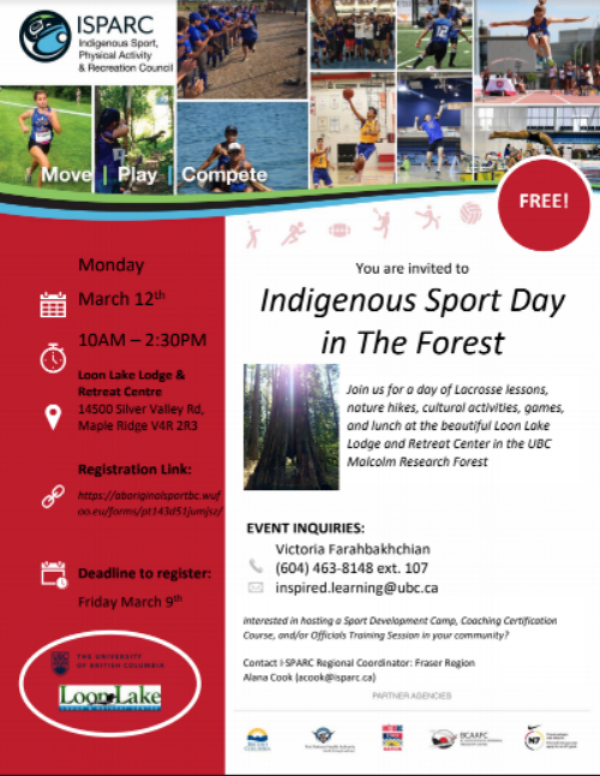 Join us for a day of Lacrosse lessons, nature hikes, cultural activities, games, and lunch at the beautiful Loon Lake Lodge and Retreat Center in the UBC Malcolm Research Forest. First Nations, Metis, and Inuit youth ages 6-14 are invited to attend. Lunch is provided for all attendees. Participants are suggested to wear athletic clothing and bring a water bottle. Please register by Friday, March 9th to ensure space!